Private firms based in Britain are reaping huge profits by exploiting conflict and instability around the world in the absence of proper regulation, a British charity has warned. The remarks were made by War on Want, following the charity’s release of a report examining the devastating impact of private military and security companies (PMSCs) around the globe. “For too long this murky world of ‘guns for hire’ has been allowed to grow unchecked, and in letting the industry regulate itself the UK government has failed,” he said. Hemmingway’s analysis drew from research that scrutinizes the legacy of PMSCs operating in Britain and beyond. PMSCs first appeared in their current form 15 years ago, after Washington and Westminster declared a “war on terror” and subsequently invaded Afghanistan and Iraq. 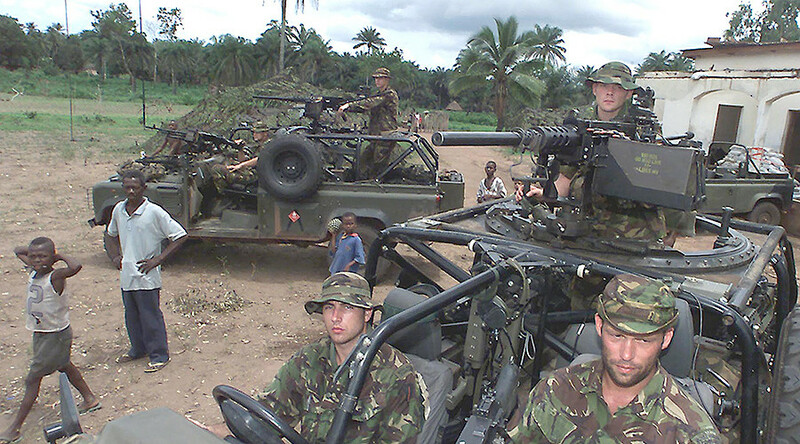 Although they initially were contracted for security-based services, they are often hired today to provide combat roles in wars in Africa and the Middle East. Although they profit directly from war and conflict and have been accused of multiple human rights abuses in conflict situations around the world, Hemingway notes that they are currently unregulated. He said that British firms G4S, Aegis Defence Services, Control Risks and Olive Group currently regulate themselves. Hemmingway argued that this trend is unsurprising, given the revolving door that exists between PMSCs and the military, intelligence and corporate sectors. He said the biggest market for British PMSCs is in Iraq, where the provision of private security is common. One such firm is G4S, which the charity accuses of profiting from turmoil in Iraq and the oppression of Palestinians. PMSCs are also increasingly exploiting legal loopholes concerning the use of arms on ships in international waters, according to Hemmingway. Although Iraq and Afghanistan are longstanding markets for British-based PMSCs, instability in resource-rich parts of northern and western Africa has also been capitalized on by these firms, he says. Firms that make use of such floated armories can operate freely, without the threat of investigation, according to War on Want. In August 2013, the UK Department for Business, Innovation and Skills issued 50 licenses for floating armories operating in the Indian Ocean and Gulf of Aden. War on Want’s research reveals that Royal Dutch Shell, BP, ExxonMobil and other energy giants also pay PMSCs to secure their operations. “Now we are seeing the alarming rise of mercenaries fighting on the front line in conflict zones across the world," he said.